GG (Guy) Archard is a London based photographer specialising in architecture, interiors and sculpture. With over 10 years of experience photographing art objects and installations, Guy has gone on to photograph the built environment for a wide range of international clients from young and emerging architecture firms to world-renowned institutions such as Arsenal Football Club. 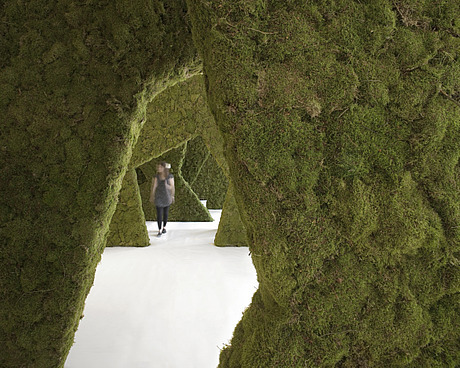 For his profile photo, Guy chose his picture of an installation at the Architecture Foundation in London by Norweigian architects PUSHAK: "I chose this image because the junction where the built environment and nature meet is something I am interested in with my photography, and the simple balance of composition gives a focus to the human interaction with the space."